Aftonbladet printed an interview of Alexander Skarsgard where fans were able to chat with Alex online. Alexander Skarsgård chatted about love and the new movie “Trick Dog”. Alexander with Mr Linus Wahlgren, who also is with the dog trick. Brown Eyed Girl says: Hey! Hudtricket seems to be great, must see it on Tuesday: D it was fun to record it? 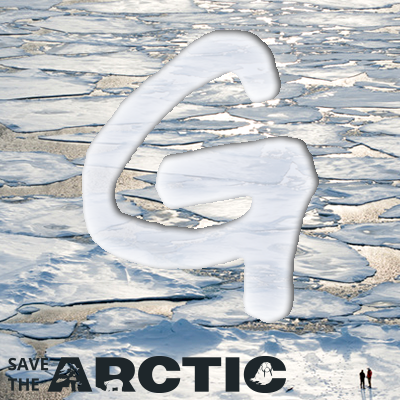 Alexander Skarsgård says: It was wonderful, Lulea is magical! Anna says: What is your favorite movie? jessica says: can you tell me about your role in the film? billabong says: you always have as long a term? Derin says: you should be with any Hollywood film in the future? ERiik says: Do you have any relatives in Oskarshamn, because I’ve seen you a couple of times here. Kalle Kula says: Do you ever performance anxiety due to your dad’s success in Hollywood? lover girl says: how is it that every celebrity??? dog trick says: Take dog trick the funniest movie you made? Johohanna says: What’s the most embarrassing you’ve been through? Finn says: You were with the dragons of Helsinki, right? Michaela says: Are you allowed to question the boy about what happens tonight ..? David says: Hi, I have a faint recollection that I saw this movie as a short film version of the type a year ago. It was the same actor with. Could it be? Milla says: Hello, Alexander! Do you like the South. Lives himself at Medis. OmJagSägerSåHär says: What do you think works best for a pickup? Anna says: Do you love someone right now? mustard grain says: how e Ben Stiller in real life? hilarious or exaggerated? Rizzo says: favorite city in the world??? Alexander Skarsgård says: I like the atmosphere in Copenhagen … and Paris of course! Boris says: How tall are you? Stephanie says: what was the most fun to do with the movie? Liselotte says: If you could work on something else what would it be? Bergman says: What do you like best about theater or film? Johohanna says: Where are you politically? pingu says: how do you feel it is treated as a Swedish in the U.S.? Anna says: What do you like the music? Rebekah says: I was on Who’s Afraid of Virginia Wolf? I must say that it was really great! We lived in it and it shows that you have put a lot of time on it … You are a natural talent! Just wanted to give some credit! Alexander Skarsgård says: Thanks so much! Bergman says: What is your favorite celebrity friends? Jennie says: what was the most fun scene to shoot the dog trick? bringmyr says: Illustrated called it science? Ulrika says: when you go out in Stockholm where are you going anywhere .. in the pub on el disco reached? MJacksonGirl says: I know Michael Jackson, do you know any big star who can be consistent with it? Oooo says: Which of you is most popular among the girls? Alexander Skarsgård says: What are we? Johohanna says: When is your birthday? Louise Mossberg says: if you were a woman, what would your name be then? Linnea says: Heard you on the radio this morning! And you have a grandmother who lives in Kalmar. Are you here often? Johanna says: Would you consider to be part of Robinson or someone else reality show? To say: Who do you think is the best Hamilton? 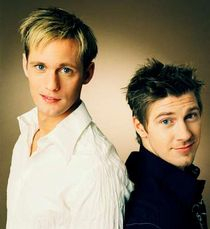 Alexander Skarsgård says: Have not seen or Stefan Peter S. so I dare not speak. krille says: Do you girls so much as you think? Helena says: My sister is in love with you. What should she do to capture your heart??? Marie says: Would you marry someone named Marie Andersson? Ludo says: Who is your favorite actor? The neighbor says: Have you turned down an offer some time ago that you regretted …? If so, which? kille18 says: why did you leave the white lies? Carro says: body piercing or tattooing? gabriella says: what star sign are you? You are an awesome actor! Scale says: do you want to be in Hollywood? Helena says: Will you at the premiere tonight in Lulea? bringmyr says: best football team? pingu says: you have been beaten because you’re a celebrity before? gullhjerta says: Do you have any new films in the pipeline for “dog trick”? Alexander Skarsgård says, is to “Virginia Woolf” in spring. Then I do not know what happens. Thanks for the great folks, it was extremely delicious! Thanks for commenting! 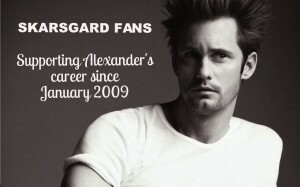 I’ve been running a fan site for Skarsgardfans since 1/31/09. I migrated that one to this site last July. thanks again. Simply desire to say your article is as astounding. The clearness in your post is just great and i could assume you’re an expert on this subject. Fine with your permission allow me to grab your feed to keep up to date with forthcoming post. Thanks a million and please keep up the gratifying work.